The design team have created a naturally beautiful and simple golf course using the topography of the existing terrain to build a course that will keep the golfer interested from start to finish. 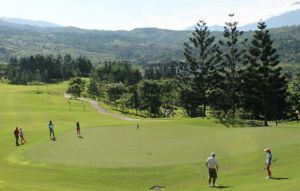 There is no easing golfers into the game, as the first is a tricky opening hole. A short par five the hole plays slightly downhill, positioning is vital to set up a good chance of making a birdie. 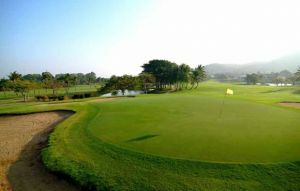 The real choice comes with the second shot, leaving the golfer to decide whether to try and clear the stream that splits the fairway or to lay short and leave a slightly longer approach into the green. The third is a superbly designed hole that doglegs to the right. From the tee finding the fairway is essential and being far enough down the left side is vital to leave a view of the green for the approach. Fantastic views await on the elevated tee of the 13th. The fairway which meanders through the trees is narrow before widening to accommodate a strategically positioned bunker in the centre of the fairway. A great chance of making birdie at this downhill short par four. The par three fifteenth is stunning, bunkers protect the small green, but it is the sculpturing of the hole that really excites. The next is a short testing par five played between a tight avenue of towering trees. The second shot presents the golfer with a chance to get home in two, but positioning and guts are a must. 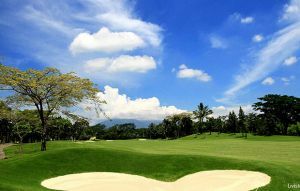 Although not a particular long golf course, the golfer is tested throughout. 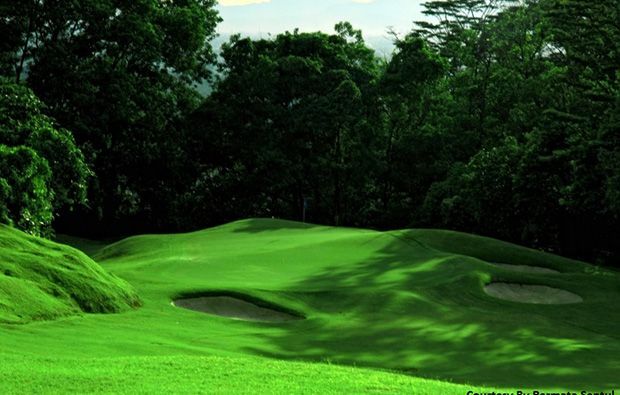 The designers have used the terrain cleverly to provide a continual test of skill and accuracy, with course management and strategy at the forefront of the golfers mind when playing at Permata Sentul. 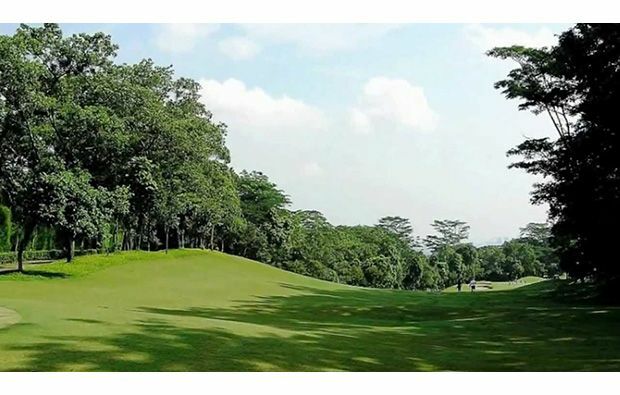 Permata Sentul is served by a superb clubhouse, which although small in size provides the golfer with everything that they could need before or after a round on this stunningly beautiful golf course. The restaurant delivers exceptional international cuisine and diners look out over the fantastic practice facilities that the golf club has to offer. 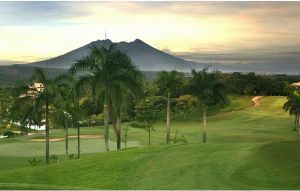 This is perhaps one of the lesser known golf courses, but it is well worth a visit. 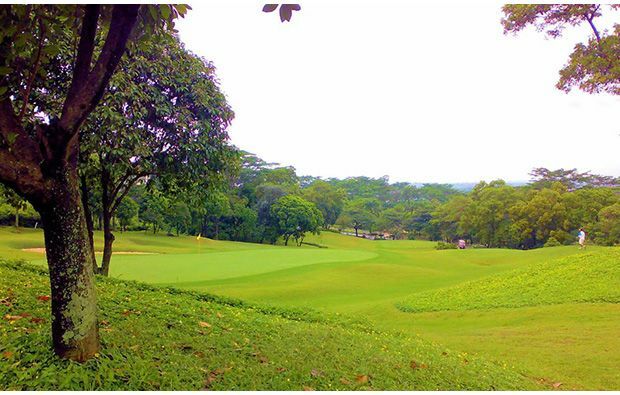 It’s easy to book a tee time at Permata Sentul Golf in Jakarta and you can enjoy great discounts as well if you use our simple booking engine. 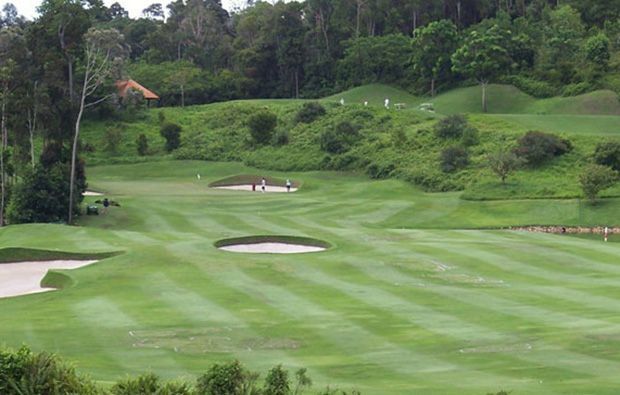 Permata Sentul Golf has different Services to offer. Choose a date and number or players to see the rates.